T-Stroke.... finns nu i lager! En omtyckt putter-tränings produkt, som många beställt under våren. 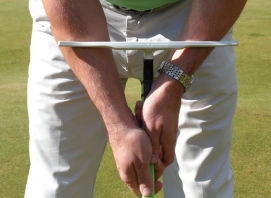 "T-Stroke has been designed by PGA Putting Coach Andy Gorman to improve putting stroke consistency. 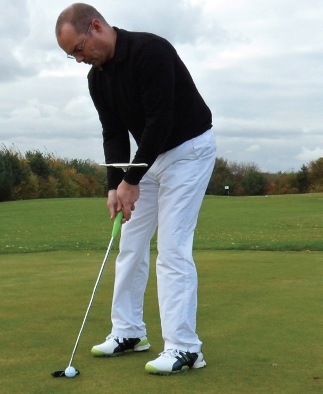 By using an alignment bar (rests on the forearms) to achieve the ideal set-up position, T-Stroke helps in eliminating excessive wrist action in the stroke, whilst improving rhythm, timing and distance control."